GUEST/RENTER: Please do not contact ivacationonline.com with questions about a rental. Please contact the owner/manager of the property. Their information is on the listing or on the lease when you booked with them. 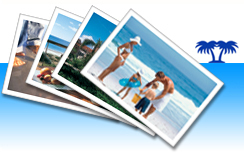 Ivacationonline.com is a software site that allows the owner to run their business. We do not have information about the property. So any questions regarding access, directions, pricing, discounts, maintenance, terms and conditions, early arrival, etc, please call or email the owner direct.